The Little White Schoolhouse was built in 1884 in Old Brown Deer, enlarged in 1900, and used as a school for grades 1-8 until 1922. 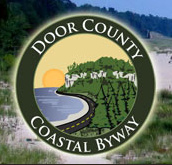 It was moved in 1972 and restored by the Brown Deer Historical Society with funds donated by the Community. Since 1976, the Society has conducted spring and fall sessions of the “living schoolhouse” program for 4th graders in the school. 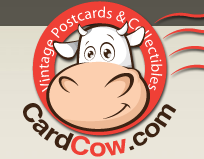 It has also maintained a local history museum here. 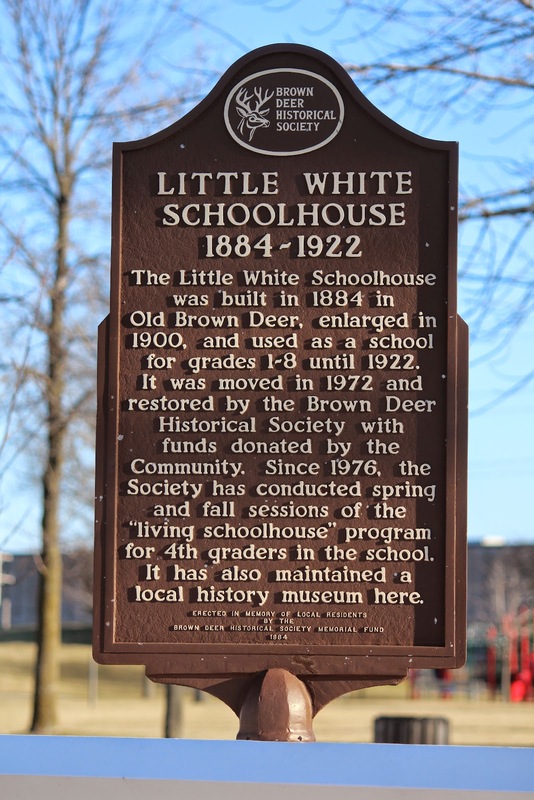 The Little White Schoolhouse and marker are located at Village Park on westbound West Green Brook Drive, at its intersection with North Arbon Drive, at 4800 West Green Brook Drive, Brown Deer, Wisconsin 53223. 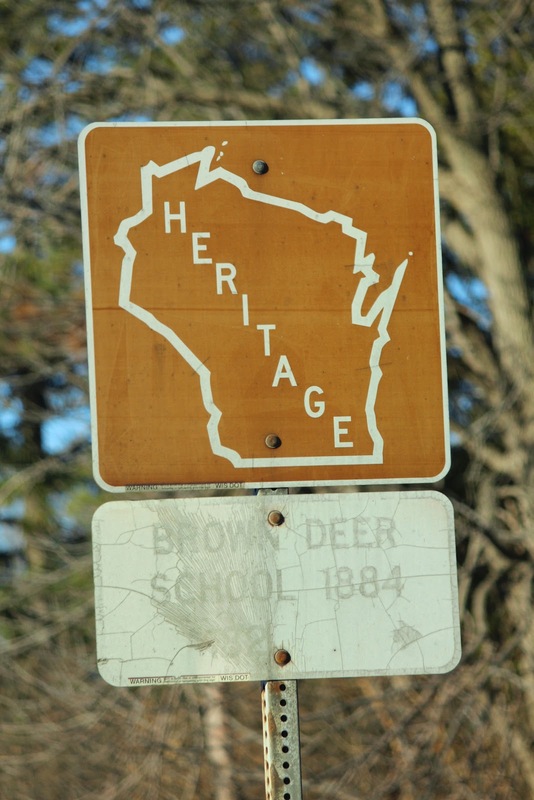 The building is listed (as "Brown Deer School") on the National Register of Historic Places: Wisconsin. See also, Brown Deer School 1884, also at this location. See also, Brown Deer School 1884. 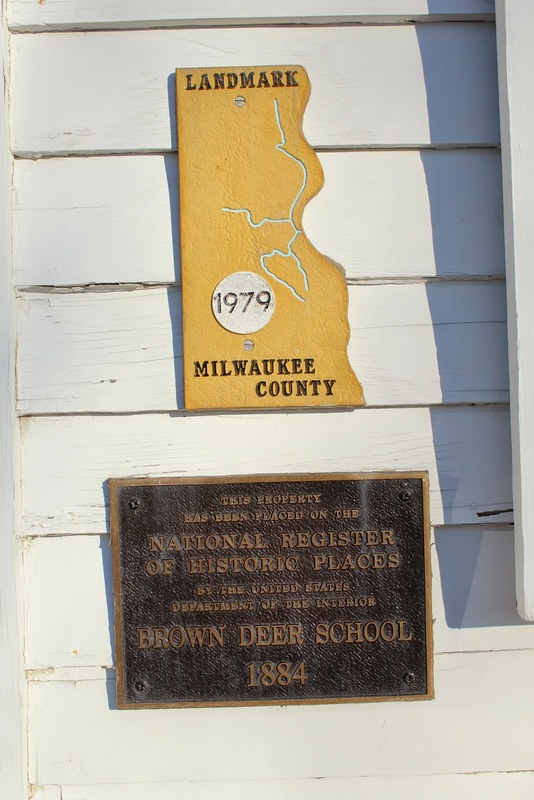 Brown Deer School is also a Milwaukee County Landmark. A cement replica of the building, at the base of the front steps. The property has a Heritage sign! See also, Heritage #182: Brown Deer School 1884.
and North Arbon Drive (the park is west of the Village Hall).